Featured amenities include a computer station, dry cleaning/laundry services, and luggage storage. A roundtrip airport shuttle is complimentary (available on request). Located in Alajuela, Ruta Verde House is in the suburbs, within a 15-minute drive of Zoo Ave and Central Market Alajuela. This bed & breakfast is 4 mi (6.5 km) from Central Park and 7.2 mi (11.6 km) from Doka Estate. Featured amenities include a computer station, a 24-hour front desk, and luggage storage. Planning an event in Alajuela? This hotel has 1722 square feet (160 square meters) of space consisting of a conference center and a meeting room. A shuttle from the hotel to the airport is complimentary (available on request). With a stay at Hotel La Guaria Inn & Suites in Alajuela, you'll be within a 15-minute drive of Ojo de Agua Spa Park and Alajuela Cathedral. This hotel is 11.1 mi (17.9 km) from Costa Rica National Stadium (Estadio Nacional de Costa Rica) and 6.1 mi (9.8 km) from Plaza Real Cariari. Pamper yourself with a visit to the spa, which offers massages, body treatments, and facials. You're sure to appreciate the recreational amenities, including an outdoor pool, a spa tub, and an outdoor tennis court. This Mediterranean hotel also features complimentary wireless Internet access, concierge services, and babysitting/childcare (surcharge). Don't miss out on recreational opportunities including an outdoor pool and a 24-hour fitness center. Additional features at this hotel include complimentary wireless Internet access, wedding services, and a television in a common area. Make yourself at home in one of the 22 air-conditioned guestrooms. Complimentary wireless Internet access is available to keep you connected. Bathrooms have showers and complimentary toiletries. Conveniences include safes and ceiling fans, as well as phones with free local calls. Featured amenities include dry cleaning/laundry services, multilingual staff, and luggage storage. Event facilities at this hotel consist of a conference center and a meeting room. A shuttle from the airport to the hotel is provided for a surcharge (available 24 hours), and free self parking is available onsite. 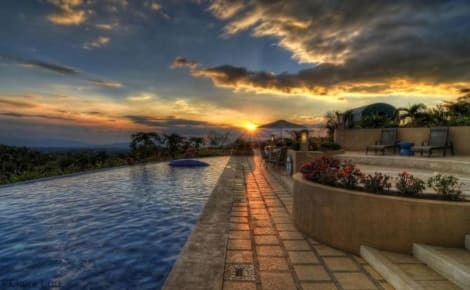 lastminute.com has a fantastic range of hotels in Alajuela, with everything from cheap hotels to luxurious five star accommodation available. 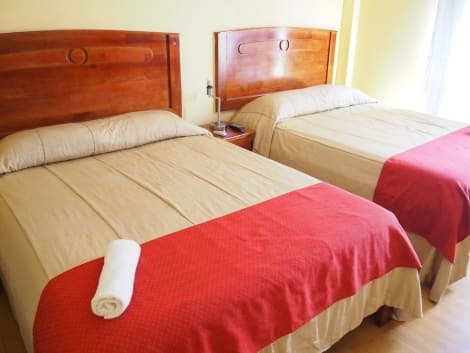 We like to live up to our last minute name so remember you can book any one of our excellent Alajuela hotels up until midnight and stay the same night.